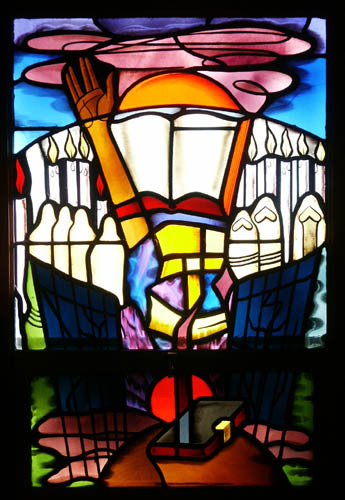 Biography: Katz worked in various media, including murals, stained glass, mosaics, bas-reliefs, printmaking, paintings and drawings. He came to the United States in 1909 and spent his early years in Chicago, where he studied at the Art Institute of Chicago and the Chicago Academy of Fine Arts. Among his murals are those for the 1933 Century of Progress exposition in Chicago, a post office in Madison, Illinois, the Young Women's Hebrew Association of Elizabeth, New Jersey, and many synagogues in the United States. 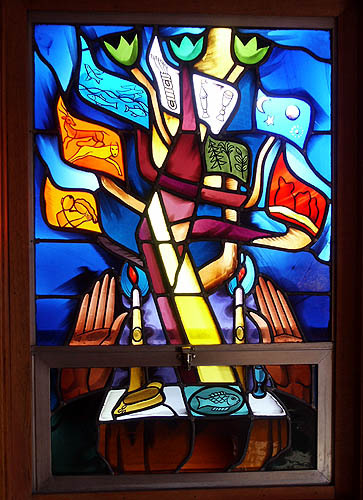 His bas-reliefs and stained glass designs also can be found in numerous synagogues. Katz was well known for his designs based on characters of the Hebrew alphabet and for his interpretations of Jewish themes.